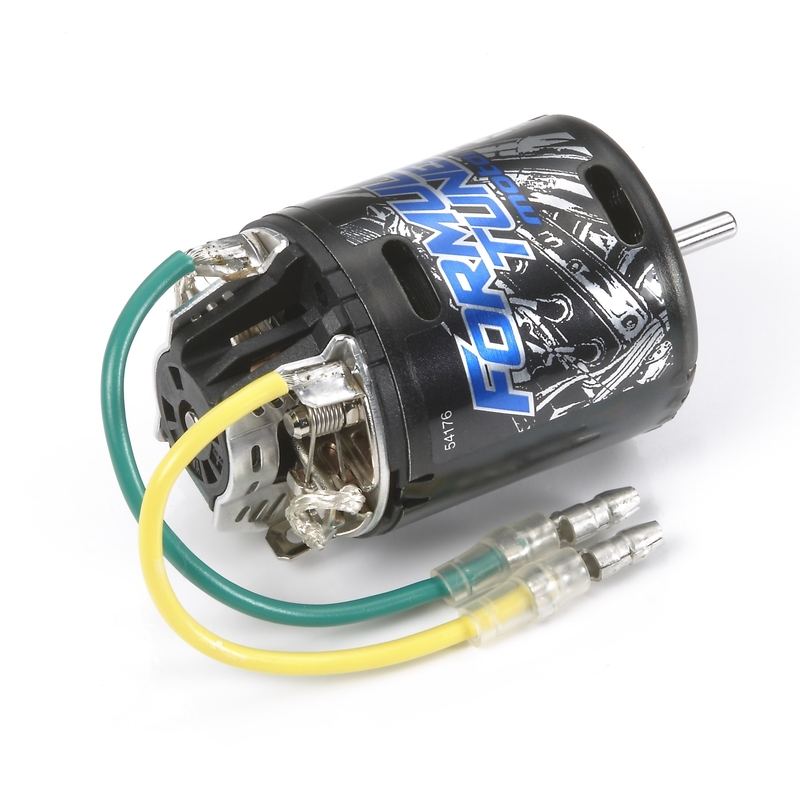 The Formula-Tuned Motor (32T) is a high performance electric motor featuring replace-able standard type brushes to ensure a long running life. The end bell features special vents for maximum motor cooling and incorporates a detachable inboard capacitor. Features optimum power output for direct-drive 2WD chassis such as F103 & F104. Compatible with Item 53581 Racing Motor Brush Set (Standard Type). 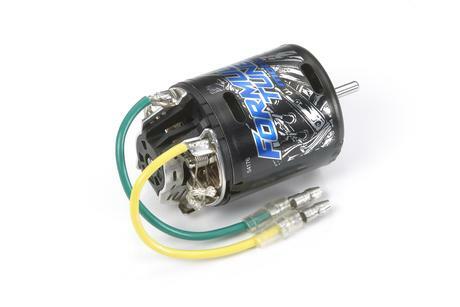 The motor produces 14,000 rpm and 39mN/m of torque (7.2V).